Car thermostat problems happen unexpectedly. Usually, you'll start to notice that your car begins to overheat soon after you fire up the engine, or the temperature gauge on your dashboard remains below its normal temperature point. But how do you know it is the thermostat acting up? After all, some of these same symptoms may come from a failing water pump, radiator, fan, or even a loose drive belt. In general, when a thermostat gives out, it gets stuck in a closed or opened position. Whatever its failing state, you'll find out in a few minutes using one or more of the tests described in this guide. But first, you need to take a quick look at how it operates so that you understand the logic behind these simple tests. How Do I Know If My Car Needs a Thermostat? As any other water-cooled engine on a passenger vehicle, the engine in your car operates at a temperature range of approximately 195–220 °F (91–104 ºC). To help it operate within this range, your car engine uses a thermostat. In simple terms, the thermostat responds to changes in temperature—in this case, coolant temperature—by opening or closing a valve to control coolant flow between the radiator and engine. The valve itself operates through a wax-container element. Thus, the thermostat is small, simple and effective. The expanding element container in the thermostat faces and contacts the engine coolant. 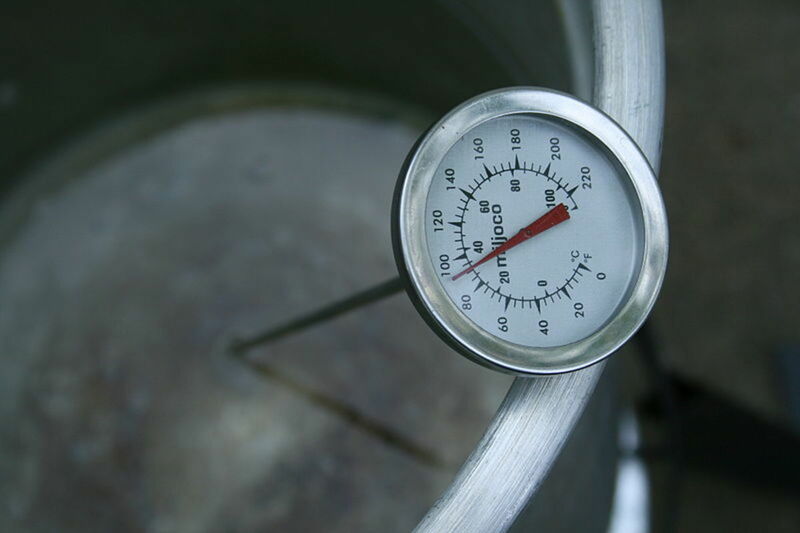 As the coolant temperature rises, the fluid (or wax) in the container begins to melt and expand, pushing a small rod that separates a center plate from its surrounding mounting base to open the valve. The thermostat starts at a closed position when you start the engine to help it reach operating temperature. As coolant temperature rises, it begins to open. The opening allows hot coolant in the engine to flow into the radiator, while the water pump pushes lower-temperature coolant from the radiator into the engine. When the lower-temperature coolant reaches the thermostat container, the expanding fluid begins to contract, closing the thermostat's valve. During engine operation, though, the thermostat actually never fully closes or opens, but gradually nears either state to control coolant flow, depending on engine operating conditions. This allow the engine to operate at the best temperature. This ideal engine-operating temperature accomplishes several goals: It helps engine oil to lubricate efficiently and to remove harmful deposits. It reduces emissions and gas consumption, and contributes to engine performance. Thus, the thermostat has an impact on your engine's health and longevity. A thermostat stuck opened will cause a continuous flow of coolant, resulting in a lower operating temperature. Since the oil operates below temperature, the condition accelerates parts' wear, reducing engine efficiency and increasing emissions over time. On the other hand, a thermostat stuck in the closed position will prevent coolant flow and cause the temperature to steadily rise. If you fail to notice and keep your engine running, in a matter of minutes your engine self-destructs. Literally. Either way, your engine will suffer damage. The difference is just in the amount of time it takes. Still, a failing thermostat is not the only cause for an abnormal engine operating temperature. Other reasons include low coolant level, a bad water pump, a worn out or loose water pump belt, cooling system leaks, a clogged radiator, a failed radiator fan and a collapsed radiator hose. Whatever the cause, it's a good idea to start looking into the problem before it's too late. Now that you have an idea of how the thermostat operates, you can use that knowledge to investigate the problem. 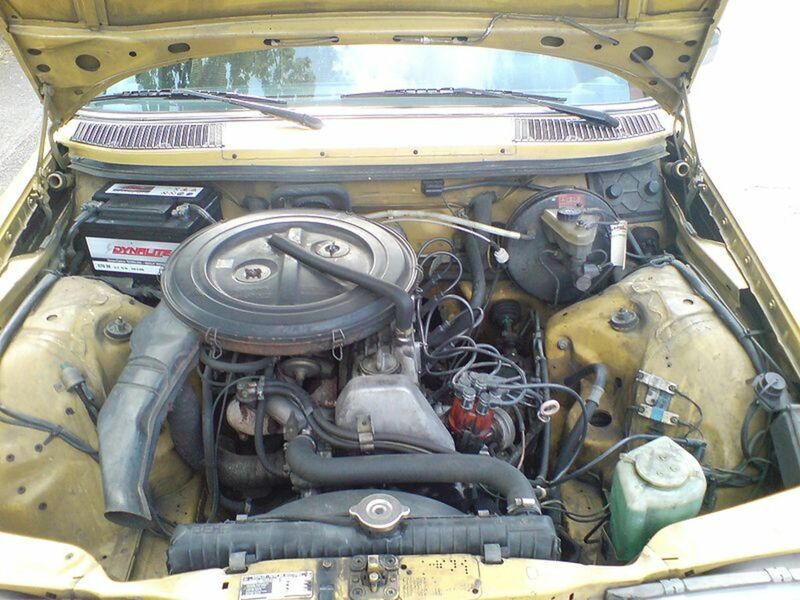 First, open the hood and make sure the engine and radiator are cool. Then, locate the thermostat. If you follow the upper radiator hose towards the engine, you will see the end of this hose connecting to the thermostat housing. Inside this housing resides the thermostat. On some vehicle models, though, the thermostat housing connects to the lower radiator hose. If you need help to locate the thermostat, consult your vehicle service manual. You can buy one at your local auto parts store or online. You could also check the reference section of your public library. Once you've found the thermostat, perform one of two simple tests: If you have access to the radiator cap on your car, use the following troubleshooting procedure: Checking Coolant Flow. If the radiator cap is not accessible, or you don't see the cap, go to the next troubleshooting procedure: Checking Coolant Temperature. 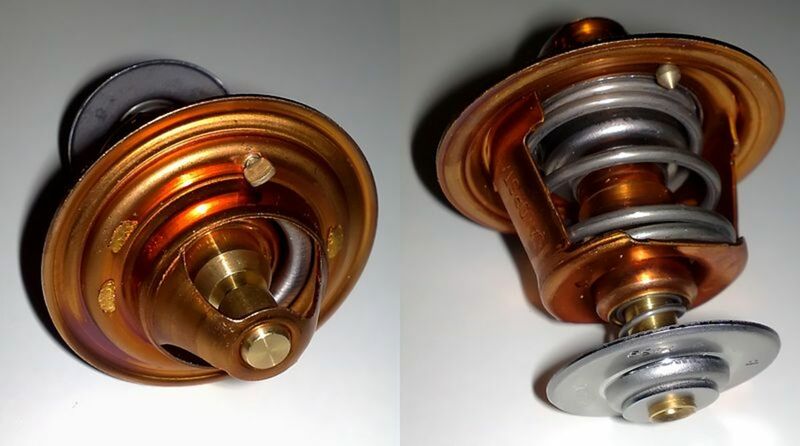 Even if your radiator cap is accessible, you can actually do both tests, since neither requires removing the thermostat from your car and they both only take a few minutes. With an overheating engine problem, it's a good idea to have an assistant behind the wheel to shut off the engine if the temperature reaches an unsafe level while testing. If either of your tests points to a bad thermostat, follow up with the third procedure below, How Do I Test a Car Thermostat, to test it outside of the vehicle and make sure you need to replace it. If you are performing one of these tests because your engine is overheating, it's a good idea to have an assistant behind the wheel to shut off the engine if the temperature reaches an unsafe level while you do the test. Wait for the radiator and engine to cool. Engage the parking brake and block the wheels. Remove the radiator cap, fire up the engine and let it idle. Verify that the coolant is not flowing. You can check this by looking through the radiator filler neck. The coolant shouldn't be flowing because the coolant has not reached enough temperature to cause the thermostat to open. If the coolant is not flowing, go to step 7. If you see the coolant flowing, it means the thermostat is stuck opened. And this explains your temperature gauge indicating a continuous lower-than-normal operating temperature. You need a car thermostat replacement. Wait for about 10 to 20 minutes so the engine reaches operating temperature. About this time, you'll see the coolant through the radiator filler neck beginning to flow. The coolant begins to flow at this point because it has reached a high enough temperature to cause the thermostat to open. If you don't see the coolant flowing and the temperature gauge on your dashboard is rising steadily, you have a thermostat stuck in the closed position. Shut off the engine and refer to the section, after the next procedure, How Do I Test a Car Thermostat. However, if the coolant begins to flow but the engine still overheats, you have another problem affecting the cooling system. Check the troubleshooting section of your vehicle repair manual to see other causes for engines overheating. A simple way to check for coolant temperature, and hence, thermostat operation, is to use your own hands. Engage the parking brake and set your transmission to Neutral (manual) or Park (automatic). Touch the upper radiator hose and lower radiator hose, so that you can feel the hoses' temperature. Be careful with engine moving parts when doing this. Wait about 10 minutes and repeat step 3. You should notice the hoses' have risen in temperature. This means the thermostat is opening. If the hoses' temperature have remained about the same, the thermostat is stuck closed. If you want, you can do a more accurate test. For this test, you can use a needle type, kitchen thermometer or an infrared thermometer type. Make sure the radiator and engine are cool, engage the parking brake and block the wheels. Get a temperature reading on the engine block or cylinder head surface near the thermostat housing. 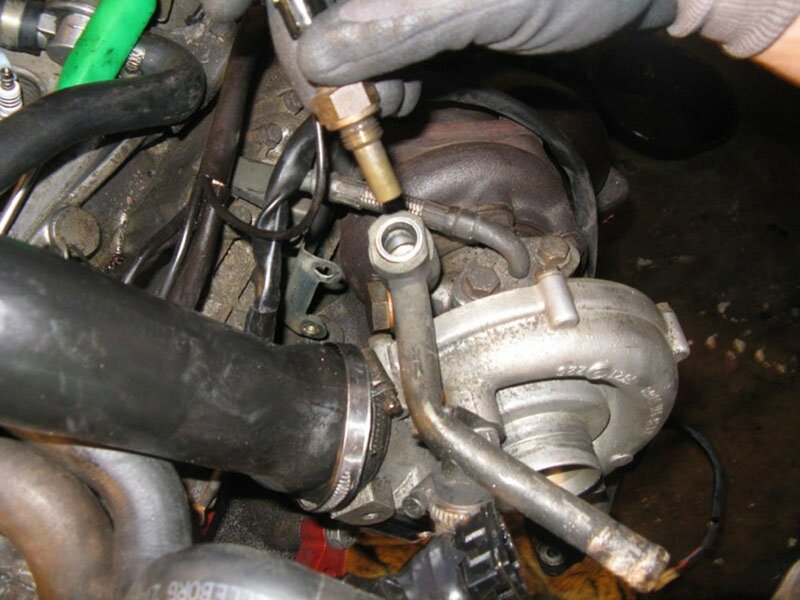 Then, get a temperature reading of the upper radiator hose two to three inches away from the thermostat housing. After five minutes, read the temperature again on these same two test points and compare these readings to the previous ones. Wait for five more minutes and take another reading. At this time, you'll start to notice the temperature on the engine block or cylinder head rising while the radiator hose temperature remains about the same. If both test points remain at about the same low temperature, your car thermostat is stuck opened. This means the coolant is flowing continuously, keeping the engine from reaching operating temperature. This will confirm the continuously low temperature reading of the temperature gauge on your dashboard. Replace the thermostat. It takes between 15 and 20 minutes for the engine to reach operating temperature. At this time, hot coolant causes the thermostat to open. If you take another temperature reading on your two test points, you'll notice the radiator hose temperature almost as high as the engine’s temperature. This means the thermostat has opened and hot coolant is flowing through the radiator hose. If coolant doesn't flow, you'll notice the temperature on the upper radiator hose remaining about the same, and the temperature gauge on your dashboard getting close to the red zone. This means you have a stuck closed thermostat. If necessary, troubleshoot the thermostat as described in the next section. If the temperature on the upper radiator hose rises, though, coolant is flowing. If your engine is still overheating, you have another problem affecting the cooling system. Check the troubleshooting section of your vehicle repair manual to see other causes that may be affecting the cooling system. Checking your car thermostat is the best way to know if the unit has actually failed. The testing procedure requires a kitchen thermostat and a pair of needle nose pliers. 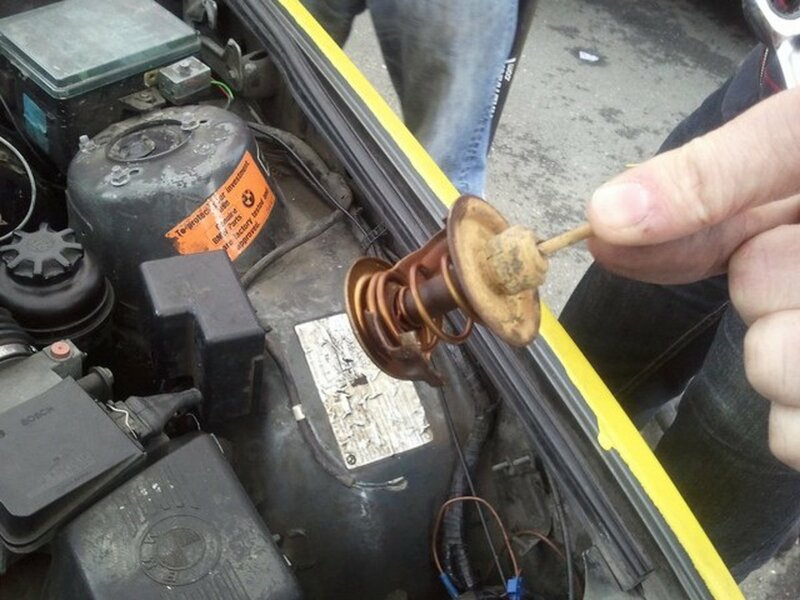 First, you need to remove the thermostat from your car. The thermostat housing is accessible in most cars, but you still need to follow some precautions that might apply to your particular model. If you need more help, the best way is to follow the instructions in the repair manual for your particular vehicle make and model. Visually inspect the thermostat. It should be in the closed position. If it is opened, replace it. Place a kitchen pot on a stove. Pour enough water into the pot to cover the thermostat. Submerge the thermostat in the kitchen pot, but don't let it touch the bottom of the pot. Use a pair of needle nose pliers for this. Start heating the water and place the kitchen thermostat in the pot, but don't allow the thermostat to touch the pot. You just want to monitor the water's temperature. Watch closely and notice at what temperature the thermostat begins to open. Make a note of the temperature at which your thermostat began to open. Wait for the thermostat to open completely and make a note of the temperature. Then, remove the thermostat from the pot and check that the thermostat gradually closes completely. Compare your notes to the thermostat operating temperature specifications in your vehicle repair manual. If your thermostat deviates from the specifications, or the thermostat mechanical action deviates from the one described above, replace it. Most vehicle engines operate at a temperature range of approximately 195–220 ºF (91–104 ºC). Check your vehicle repair manual for the thermostat operating range, and make sure you have the correct one for your application. Or replace it, if necessary. The next video gives you an idea about replacing a thermostat in a car. 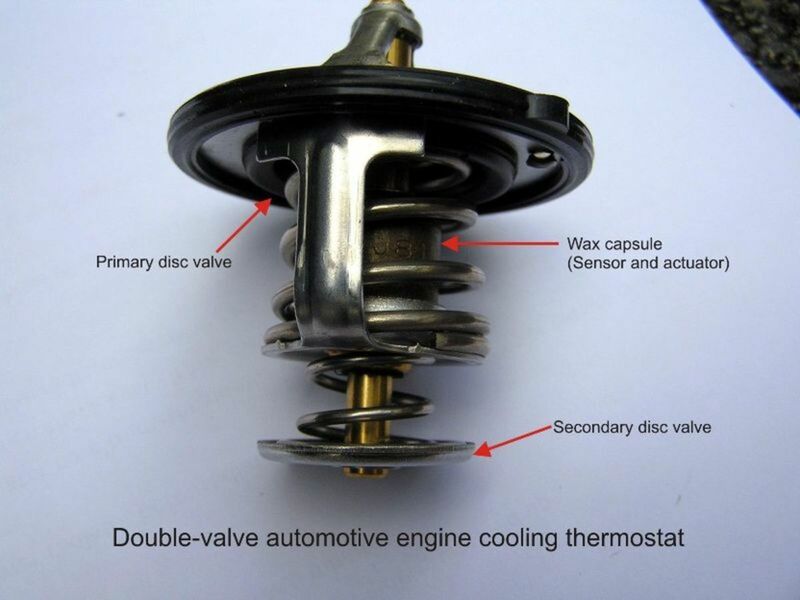 Car thermostat problems can be diagnosed with these simple troubleshooting procedures. They only take a few minutes and will help you find the cause of an unusual engine operating temperature. Even more, they'll help you save your engine—and your wallet—from damage. If your troubleshooting procedures tell you the thermostat is working, find the cause of the problem as soon as possible. In this case, the vehicle repair manual for your particular car make and model will be of great help. I just replaced my thermostat and now my car is over heating, and it wasn't doing that before. Do you know what could be causing my car to overheat? I have a 2005 Chrysler 300 Touring. When I was cutting my air on, it started to overheat, but today I purchased this bars seal, and it leaked from the head gasket. Now my car is running hot whether the air is on or not. What do you suggest the problem is? I purchased the 32 dollar bottle. What do you think the problem is? If the head gasket is leaking coolant, it is not circulating properly in the system. Probably the bars seal won't cut it. You'll need to replace the head gasket. My car is overheating, but the problem is that it sometimes overheats fast and sometimes after 25 minutes of driving. What could be the cause of my car's overheating? There could be a problem with the water pump. The bearing or impeller might be worn and not working constantly. If the pump is run by a drive belt, check the belt's tension as well. My 2003 Hyundai Sonata runs great, but the temperature gauge is always in the middle of cold and hot. Is it overheating? If the gauge is not in the red zone, it might be working fine. Otherwise, check that the fan for the condenser is working fine when turning the AC. Other potential problems could be a failing AC compressor, fault in the cooling system, or a bad coolant temperature sensor. I'm not getting any heat inside my 2003 Jeep Liberty. What could cause an early 2000s Jeep to not heat properly? Make sure there’s enough coolant in the system. Also, your heater core could be plugged and not allowing coolant to circulate, or an actuator might be bad. after how many miles should a thermostat be replaced? Usually, there's not a time frame to replace the thermostat, but keep an eye on it after five years. Where do I put the coolant in my car? Remove the radiator cap and pour the coolant through the opening. Follow the instructions in your car owner's manual or repair manual. You'll need to purge the system. My truck won't start after it overheated what should I check? If it still cranks, check for spark and fuel delivery. If it doesn't crank, remove the spark plugs and see if it cranks. If it doesn't but the starter motor is engaging probably there's damage to the head gasket or engine. 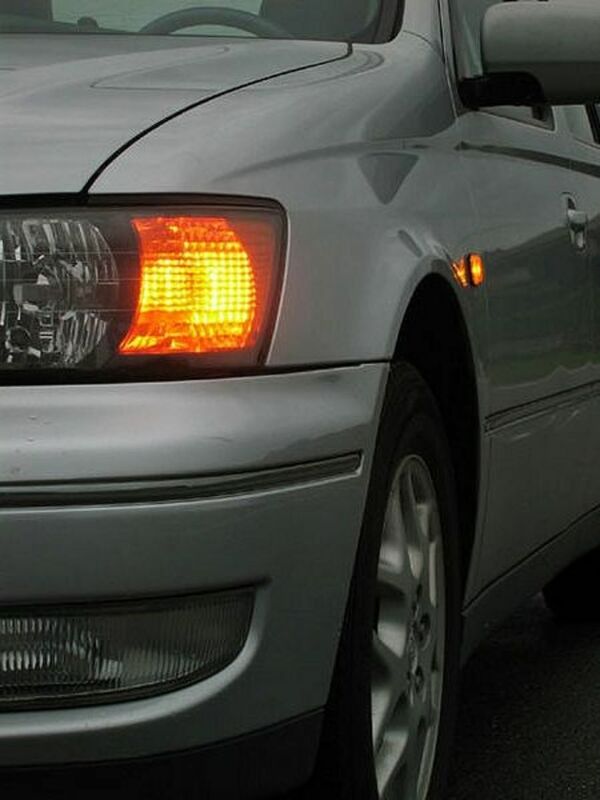 Why does my low coolant light stay on? If the coolant level is OK, and the engine is not overheating, check the coolant level sensor. I have a 96 Mustang. The temperature gauge will get just under the red mark and then drop down to the normal range. What could be wrong with my temperature gauge? Common possibilities: the coolant temperature sensor or water pump is going bad, but this can also be caused by a clogging radiator. 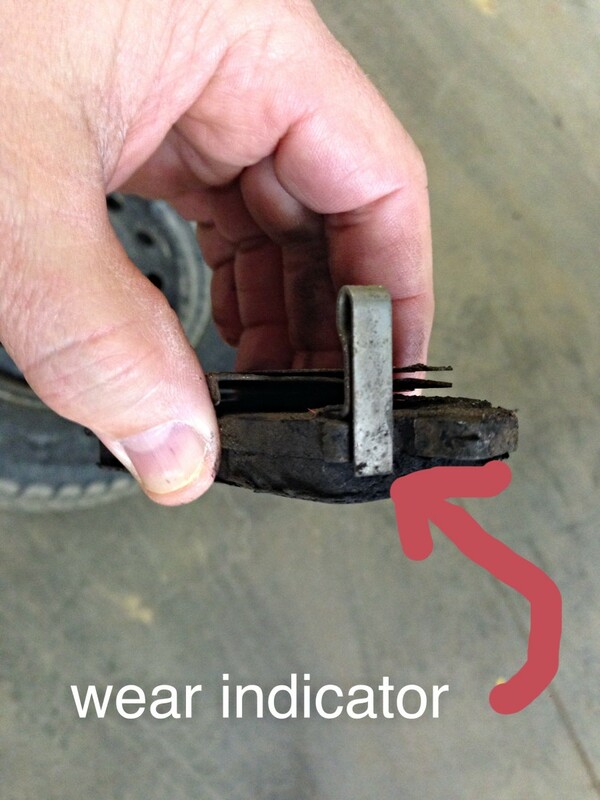 A malfunctioning water pump can create hot spots and trigger the gauge to go up. How long after replacing the thermostat does it take to get heat up? The engine usually reaches operating temperature in about 15 to 20 minutes. That's when the cooling fans kick in. Does a thermostat in a car have a switch? The thermostat itself has a wax capsule that works as a sensor/switch, but there’s probably a cooling fan thermostat temperature switch sensor. Can just the housing on a car thermostat be replaced? Yes, you can replace the thermostat housing. Go to your local auto parts store or order online. You’ll need the vehicle make, model and engine size to get the correct part for your application. I have a Toyota Corolla 2005 I'm having heating and air problems. The heat blows cold air in the winter, and now that it's getting hot the cold air wants to blow hot now. All of my vents and everything works completely fine, and it's filled with coolant. Could opening the thermostat cause this issue? Check the temperature gauge - unusual readings may indicate a bad thermostat. You may want to check the refrigerant level and condition, and flow valve. I have a 2013 Toyota Yaris model and started overheating after one hour drive on 120 speed. What could be the problem? There could be several reasons for an engine to overheat. A faulty thermostat is only one of them. This other post can help you diagnose and, possibly, fix the problem. Why am I getting water in my spark plugs on my 2001 Ford Expedition? Internal leak: A leaking head or intake gasket could be the problem. Other possibilities include a cracked head or block. External leak: On some Ford Explorer models the cowl can actually leak rainwater into one or more plugs. Water seeps through the well and can cause a misfire. Haven’t heard of this same issue on Expeditions. But check the boot and well for signs. I have "Top-up Coolant" warning light coming on an off sporadically in my car. The garage has charged me for a turbo valve but the problem is persistent. I am convinced it is a thermostat issue but no one will believe me as my vehicle is not showing any other faults in a diagnostic test. Can you please help? Check the coolant level sensor. There could be something wrong in the circuit or the sensor itself. You probably can do it if you have the repair manual for your model. If the thermostat has been in service for a few years, it's better to replace it, since it'll fail sooner or later. can use my old thermostat that has been removed after testing it and proved that it still working? Hai Dan, good day to u. i just change the thermostat in temperature increases. the foreman just remove the thermostat and now my car is running without thermostat. Every time temperature is abit cold the engine will just die. My 1998 Dodge Ram Magnum v6 is overheating. Already changed the waterpump and than the thermostat but now its leaking antifreeze from the 2 bolts that are on the thermostat. I also flushed out the heater core. your car has constant air flow, that's why you are feeling the hot air, even though the AC is not running. But, if you feel too much heat coming through the vents though, a heating valve must be leaking. Have the AC system checked. Everytime i start my car, i feel heat come from my vents & the heating/cooling controls are always on cool. But, when i turn on the air condition it stops, I turn off the air & the heat will stop for a few minutes or more. Could tjis be my thermostat going or gone bad? Most car shops wood suggest replacing the thermostat as good measure when replacing the upper radiator hose specially or doing some work on the cooling system, even though there's no service interval for the thermostat. It's just preventive maintenance. Mechanic recommending new radiator hoses and if doing so, should replace thermostat. Is the thermostat replacement necessary? It seems the computer is acting on faulty information from a sensor, possibly the coolant sensor. Have you checked that yet? What about DTCs (trouble codes). Even if you don't see the CEL come on, scan for codes. You need to make sure you don't have a blown head gasket. Do a compression test, even a vacuum test can give you valuable information. Hope this helps. Hi Dan, thanks bucket loads for your article! Very well written and easy to follow! Wondering if you could help me out? I have a Ford fiesta ghia 2005, about 100,000 km on the clock. A few months back I noticed my cars radiator fan would keep running once I reached my destination after a long drive (it never really did this before). After a couple of weeks of this my radiator burst after about 5 minutes driving. The temperature warning light came off and I was able to turn the car off straight away, we let it cool and the mechanic took it away and replaced the radiator. About a month after that we had a hose burst towards the back of the motor (not sure where exactly). This time the temperature warning light came on and then turned off, so I kept driving (not knowing the pipe burst). I drove about 4km before the light came on solidly, then I stopped and there was still quite a bit of coolant coming out on to the ground. Once again, we let it cool and the mechanic took it away and replaced the pipe. For a while the car was difficult to turn on, but once it was on I could drive it long distances with no loss in power and nothing weird on the temperature gauge. I did however notice there seemed to be a lot of pressure building up in the coolant reservoir (there is no radiator cap), and the radiator fans run on and off all the time (sometimes only turning on for a second or 2). I did a bit of research and figured it must be a small head gasket leak, so I cleaned up the spark plugs (noting there was no water or oil present, also no cloudy oil under the oil cap) and added some Rislone Head Gasket Fix fluid. The car now turns on perfectly, and runs long distances, but there still seems to build a build-up of pressure and the radiator fans run on and off all the time (temp gauge remains steady and normal). My question is: Could this build up in pressure be due to a faulty thermostat? Or failed pump? Or head gasket leak? It seems like there has always been a pressure problem, with the burst radiator and then pipe. Or maybe coincidental. Basically a lower temp thermostat will affect cooling efficiency and engine efficiency. So it doesn't give your engine better overheating protection. The stock thermostat is designed to start opening at a minimum set temperature, not at a maximum, so you get the engine overheating protection its needs even at high loads. If I had a smaller thermostat put into my truck what would it do? If the thermostat is stuck open the cooling system won't provide much heat to the heater. But it can also happen with a system leak, old coolant, low level coolant. And make sure the blower is working properly. Would a bad thermostat cause my heater to not heat up? Make sure you bought the correct thermostat for your make and model. Does your car overheat only at idle, while in town - how about at highway speeds? 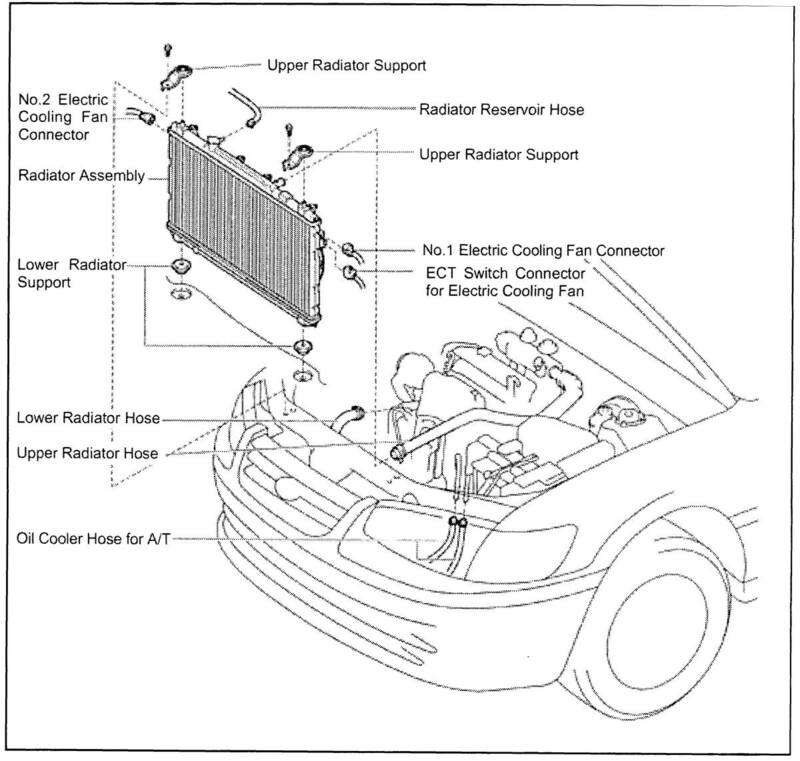 If it cools down while driving at highway speeds than you may have a radiator air flow issue. Make sure there no debris covering the front of the radiator. Did you replace the coolant recently, or when replacing the thermostat? There may be air pockets in the cooling system if the engine overheats at any speed - than you need to purge the system. Have the radiator checked as well, it may be clogging, preventing proper coolant flow. Less common issues, but happen: Do you know the engine is actually overheating? Does the engine, hoses, radiator (top, bottom) feel hot when gauge goes to red? Maybe the temp sender is not functioning properly. Was it disconnected by accident while replacing the thermostat? Another more serious issue would be a torn-leaking head gasket. Have the engine block tested at an auto shop. My car's engine over heating. I took out a thermostat and travel without it and the engine was cool. I bought a new thermostat and put it in still the engine over heating. Please help. Take a look at this guide, it tells you how to check the thermostat. Heat not coming out doesn't necessarily means a bad thermostat. The core may be clogged. A simple way it to check the upper radiator hose. If you touch the upper radiator upon starting the engine, it feel cool. After a few minutes of idling (perhaps 15 to 20 minutes), you'll notice the same hose getting hot because the thermostat has opened and letting hot coolant into the radiator. Whit a stuck open thermostat coolant wont get a chance to get hot. A stuck closed thermostat will cause the engine to overheat. But a bad thermostat is not the only cause for a no heat condition. The heater core might be clogged. Check the thermostat to make sure it's working or not working. How do you know if you need a new theromostat if heat does not come out?? 3 years ago from The Road with corners. Great article and perfect for the machincally challenged. As a motor mechanic I always use the "touch incoming and outgoing hoses" test. Works 90% of the time. Thermostats are quite easily and cheaply replaced so rather change them if there is doubt. Thumbs up on this article. Good article. Sharing it as well. Thumbs up & Pinned. Thanks to Aladdins Cave for tweeting it. Well done, I hope lots of people read this. 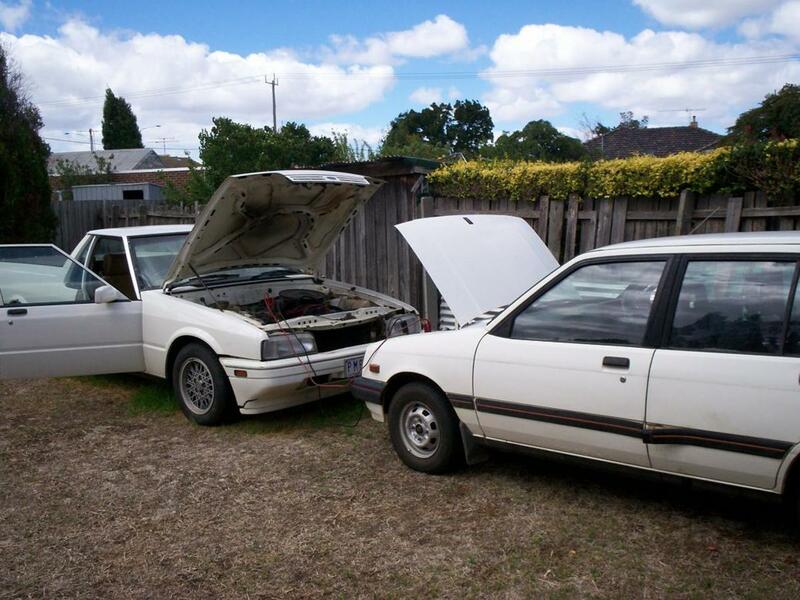 Could save them a lot of money before they blow a head gasket.